Our most popular tag! Tags read: Number, Style, Size, and Price. 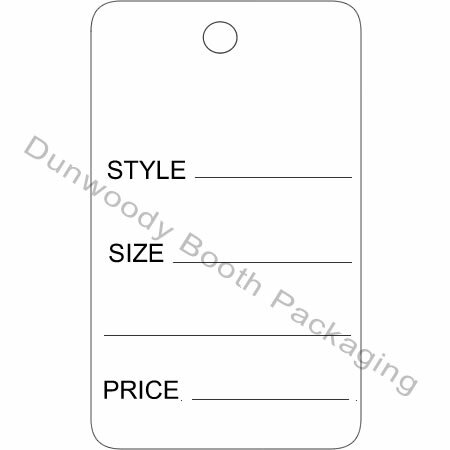 Two Part White Tag - 1-9/16"x2-5/8"